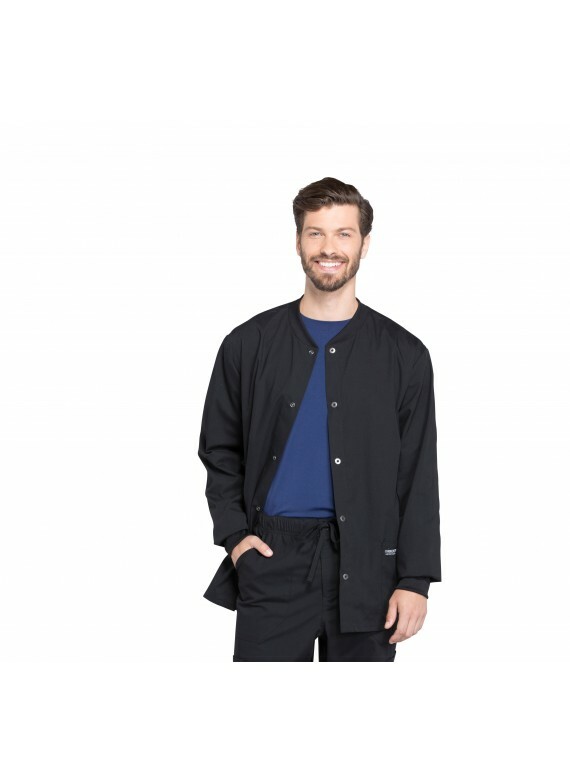 This WW360 Snap-Front Scrub Jacket from Cherokee Workwear is the perfect layering option for men during those chilly days of winter. It's a professional and practical nursing uniform jacket that is warm and well-fitting, and will provide you with plenty of pocket space for storing medical instruments. 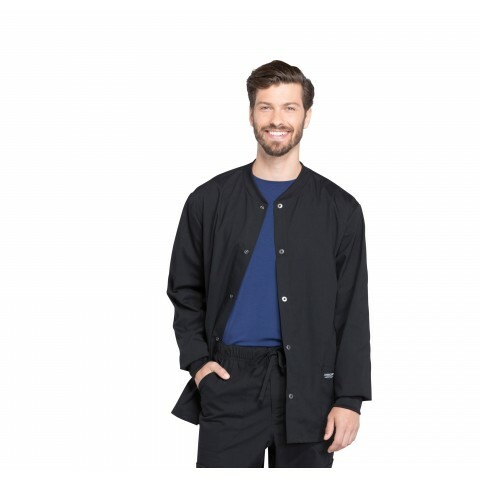 Crafted from a quality stretch fabric that offers a flexible feel and makes moving around easy, this scrub jacket is definitely one of the top choices when it comes to men's nursing uniform jackets. Cozy details like rib knit cuffs and a rib knit collar will keep you cozy and comfortable all shift long. This scrub jacket allows you to feel warm and comfy without compromising on your professional appearance. Oh, and the best part? This scrub jacket boasts a men's fit that will suit your build remarkably better than unisex ever will.